The University of Florida Academic Health Center - the most comprehensive academic health center in the Southeast - is dedicated to high-quality programs of education, research, patient care and public service. The UF College of Dentistry is the only public-funded dental school in Florida and is recognized as one of the top U.S. dental schools for the quality of its educational programs, oral health research enterprise and commitment to patient care and service. The College of Medicine, the largest of six colleges at the University of Florida Academic Health Center, opened in 1956 with a mission to increase Florida's supply of highly qualified physicians, provide advanced health-care services to Florida residents and foster discovery in health research. Founded in 1956, the University of Florida College of Nursing is the premier educational institution for nursing in the state of Florida and is ranked in the top 10 percent of all nursing graduate programs nationwide. The UF College of Nursing continually attracts and retains the highest caliber of nursing students and faculty with a passion for science and caring. Established in 1923, the College of Pharmacy is the oldest college in the UF Academic Health Center. Ranked among the top schools of pharmacy nationally, the college supports research, service and educational programs enhanced with online technologies. The College of Public Health & Health Professions (PHHP) is dedicated to providing excellent educational programs that prepare graduates to address the multifaceted health needs of populations, communities and individuals. The UF College of Veterinary Medicine is Florida's only veterinary college and provides many unique educational programs for students and services aimed at helping pets, wildlife and endangered species. We offer a a four-year Doctor of Veterinary Medicine programs as well as M.S. and Ph.D. degrees in Veterinary Medical Sciences. Co-located with the Shands Jacksonville Hospital, the Jacksonville Health Science Center excels in education, research and patient care that expresses our abiding values of compassion, excellence, professionalism and innovation. Our state-of-the-art medical center serves an urban population of 1 million from north Florida to south Georgia. The UFCOM-J offers accredited graduate medical education residency and fellowship programs, in addition to non-standard fellowship programs. Clinical rotations in all the major disciplines are provided for UFCOM undergraduate medical students and elective rotations to students from other accredited schools. 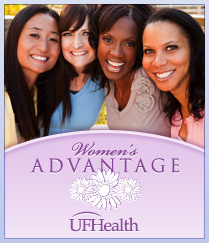 The UFHSC-J is a clinical teaching site for the Gainesville-based College of Nursing. Students rotate through the various clinical settings on the campus, and primary care centers and specialty care centers located throughout Jacksonville. 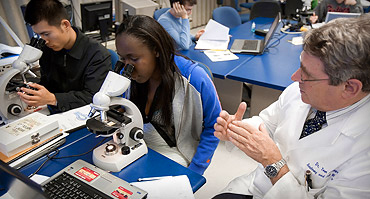 The UF College of Pharmacy-Jacksonville offers a four-year Doctor of Pharmacy (Pharm.D.) Program completed entirely in Jacksonville. Also offered on campus is an American Society of Health-System Pharmacists-accredited pharmacy residency program at Shands Jacksonville. University of Florida Health knows how important ongoing medical learning is to health care providers and the community. That is why we provide online Continuing Medical Education (CME) courses for you to complete for CME credits. These courses share the latest in medical knowledge, teach new patient-relationship skills and help providers deal with relevant current issues. 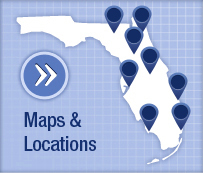 Learn about UF clinical research studies that are seeking volunteers. Hemophilia refers to a group of bleeding disorders in which blood clotting takes a long time. 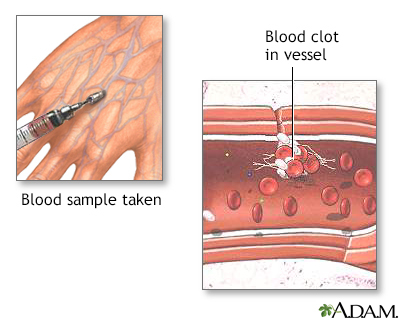 When you bleed, a series of reactions take place in the body that helps blood clots form. This process is called the coagulation cascade. It involves special proteins called coagulation, or clotting factors. You may have a higher chance of excess bleeding if one or more of these factors are missing or aren't functioning like they should. Hemophilia is caused by the lack of clotting factor VIII or IX in the blood. In most cases, hemophilia is passed down through families (inherited). Most of the time, it is passed to male children. The main symptom of hemophilia is bleeding. Mild cases may not be detected until later in life, after excessive bleeding following surgery or an injury. In the worst cases, bleeding occurs for no reason. Internal bleeding may occur anywhere and bleeding into joints is common. Most often, hemophilia is diagnosed after a person has an abnormal bleeding episode. It can also be diagnosed by a blood test done to detect the problem, if other family members have the condition. The most common treatment is to replace the missing clotting factor in the blood through a vein (intravenous infusions). Special care during surgery needs to be taken if you have this bleeding disorder. So, be sure to tell your surgeon that you have this disorder. It is also very important to share information about your disorder with blood relatives as they may also be affected. Joining a support group where members share common issues can relieve the stress of a long-term (chronic) disease. Most people with hemophilia are able to do normal activities. But some people have bleeding into the joints, which may limit their activity. A small number of people with hemophilia may die of severe bleeding. Carcao M, Moorehead P, Lillicrap D. Hemophilia A and B. In: Hoffman R, Benz EJ Jr, Silberstein LE, Heslop HE, Weitz JI, Anastasi JI, eds. Hematology: Basic Principles and Practice. 6th ed. Philadelphia, PA: Elsevier Saunders; 2013:chap 137. Hall JE. Hemostasis and blood coagulation. In: Hall JE, ed. Guyton and Hall Textbook of Medical Physiology. 13th ed. Philadelphia, PA: Elsevier; 2016:chap 37. Ragni MV. Hemorrhagic disorders: coagulation factor deficiencies. In: Goldman L, Schafer AI, eds. Goldman-Cecil Medicine. 25th ed. Philadelphia, PA: Elsevier Saunders; 2016:chap 174. Todd Gersten, MD, Hematology/Oncology, Florida Cancer Specialists & Research Institute, Wellington, FL. Review provided by VeriMed Healthcare Network. Also reviewed by David Zieve, MD, MHA, Medical Director, Brenda Conaway, Editorial Director, and the A.D.A.M. Editorial team.